Beacause I messed up badly few times by buying foam and didn't know about the importance of DENSITY, I decided to make a tutorial/test for you. 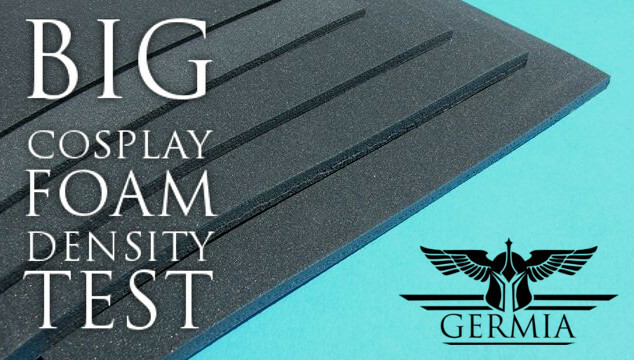 It is supposed to show you what happens with your foam if you stress it in different ways and which foam is the best for your project. I'm now using mostly the 45/kg/m3 craftfoam from poly-props.com and even it is not the most dense foam on the market, it is really durable and easy to work with, can withstand a lot of stress and it is (most importantly for us cosplayers) cheap. If you buy your foam in other shops, that I have no experience with, keep in mind to ask about density or at least have a sample to make your own test before buying a lot of it. Or you'll end up with tons of sleeping mat quality or seemingly good foam with lower density, that will ruin your cosplay. When I started cosplaying, I was watching tutorials to learn how to make epic armor and all the cosplayers were using "EVA foam" everywhere. 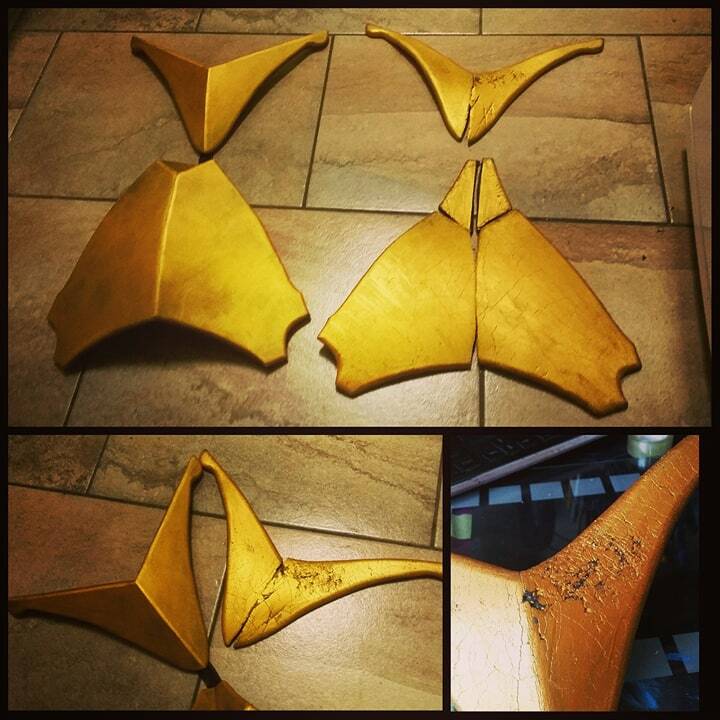 The main reasons why the authors of the tutorials chose EVA foam for their build was, that it is cheap and practical for cosplay. So I started searching for this material and wasn't really succesfull finding it. I know there are shops selling those EVA foam puzzles in USA and there are some similar products sold for example in Germany, but here in Czech Republic? NOTHING! So I've searched EVA all over the internet and found a sleeping mat from this material. And bought around 6 of them :D Oh my God, I shouldn't have done that! Guys, don't use sleeping mats for your projects! Sleeping mats should be comfortable and soft for sleeping, not sturdy and hard as we cosplayers need! Even the sleeping mat I bought IS FROM EVA FOAM, it's main features are determined by it's density! So if you have a sleeping mat, it is not so dense to be comfortable for people to sleep on. Even some manufacturers offering EVA foam as walking mats use much lower density than we cosplayers need! Be careful about that and always ask manufacturers or sellers about thedensity of the foam! I prepared a small showcase of lower and higher density foam materials for you, just to show you how different density foam behaves and why you have to buy higher density foam for your build. For my comparison, I'm using foam from poly-props.com, because I'm really satisfied with their products and as I've tried several other foam products, this one is the one I'm most satisfied with. I hope this will help you on your future projects and if yes, you can follow my work on cosplay (and other stuff) on my FACEBOOK PAGE. Foam is the best solution for construction, amazing design you in blog. mining foam gives a best touch to it. Thanks for this information.